The Catholic faith reflects a deep and abiding respect for life. 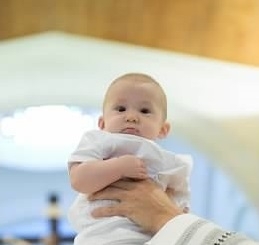 This respect for life is a core value of the Church and among the faithful. You can profess and practice your Catholic faith by reflecting the teachings of the Church and the will of God in your estate plan. One way to profess and practice you faith is with an Advance Directive, sometimes called a Health Care Surrogate/Living Will. This document is an important part of your estate plan, as it will express your faith and speak for you if you are ever incapacitated. With this document, you can appoint a Health Care Surrogate to make important medical decisions for you and to provide the Surrogate with guidance, consistent with Catholic teachings, about the care you wish to receive. The Florida Conference of Catholic Bishops has gathered important resources to help you with the preparation of an Advance Directive. These resources are provided in both English and Spanish, and can be found here. If you have any questions about estate planning, please contact us. We would be happy to assist you and answer your questions.